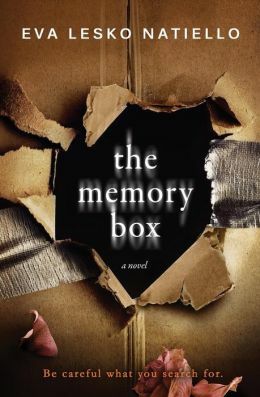 Synopsis (from bn.com): What would you do if you searched your own past and uncovered something shocking? In this gripping domestic thriller, a group of privileged suburban moms amuse themselves by Googling everyone in town, digging up dirt to fuel thorny gossip. Caroline Thompson, devoted mother of two, sticks to the moral high ground and attempts to avoid these women. She’s relieved to hear her name appears only three times, citing her philanthropy. Despite being grateful that she has nothing to hide, a delayed pang of insecurity prods Caroline to Google her maiden name-which none of the others know. The hits cascade like a tsunami. Caroline’s terrified by what she reads. An obituary for her sister, JD? That’s absurd. With every click, the revelations grow more alarming. They can’t be right. She’d know. Caroline is hurled into a state of paranoia-upending her blissful family life-desperate to prove these allegations false before someone discovers they’re true. My thoughts: In short . . . I absolutely LOVED this book! I know out there in the reading world, I have heard either that people loved or hated this book. I thought it was great. Suburban housewife, Caroline, decides to simply Goggle her name to see what she finds . . . and the rest is a non-stop story of deceit, mind games, twists, turns, secrets, . . .
You don’t want to miss this one . . . a fast, psychological thriller that will keep you on your toes.